In the Breakfast Batter Bowl, you'll find all the ingredients needed for mixing up a quick but oh-so-delicious breakfast or brunch. 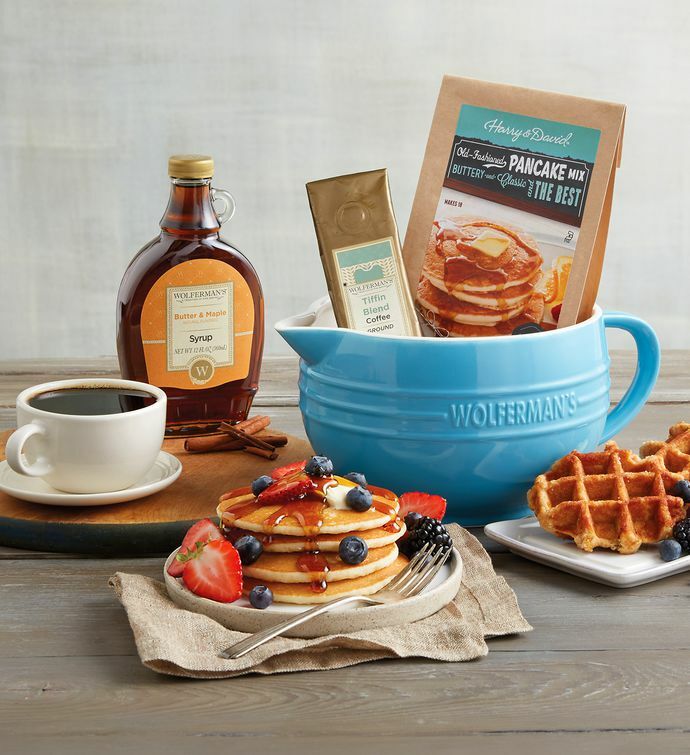 We've included buttermilk pancake mix, cinnamon waffles, butter and maple-flavored syrup, and Tiffin coffee. The heavy-duty ceramic batter bowl has a handy spout and pouring handle, perfect for mixing batters and sauces.